Make "Timber Trails" for yourself or a friend - the rustic colors make it perfect for a summer camp quilt! 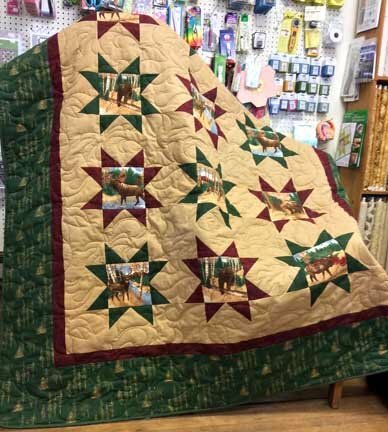 "Timber Trails" is a Yankee Pride original pattern. Judy used yummy flannels with a woodsy feel, so it's perfect in your home, or at your summer camp! The pieces are large, and easy to work with, so this will go together quickly! At 64" x 80", it's a good-sized throw, great for cuddling under. Kit includes instructions, panel, and all the fabric needed for the top and binding.